Of all the cookbooks acquiring a layer of grease on my kitchen shelves, the one I covet most is A Treasury of Great Recipes by Mary and Vincent Price. In 1965, the mellifluous-voiced horror actor and his second wife published an ornate compilation of recipes collected on their travels: the raspberry soufflé at La Pyramide in Vienne, France; the “avocado spread” at Rivoli in Mexico City; the “frankfurters” at Chavez Ravine. 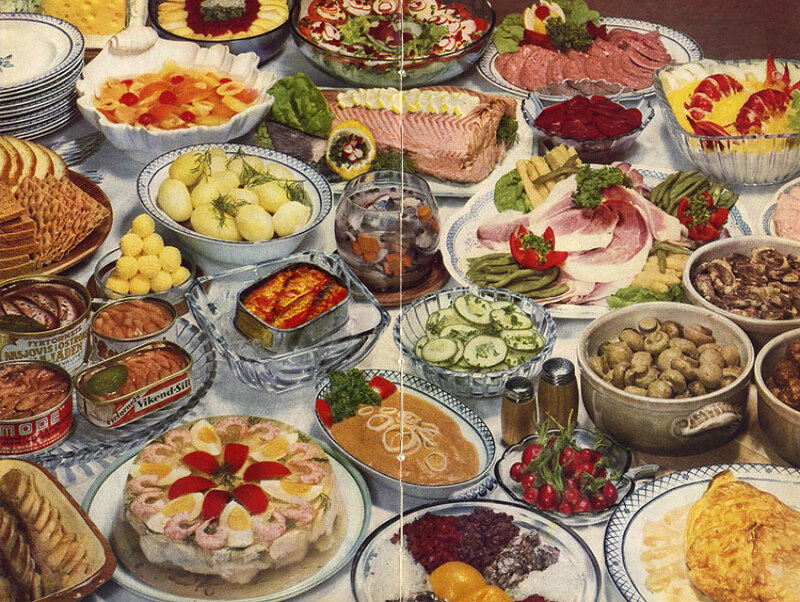 It’s an enduring (and yes, kitschy) study of cuisine and culture in the 1960s. Fifty years later the long out-of-print book has been reissued with introductions by Wolfgang Puck and the Prices’ daughter, Victoria. Just three when the book was written, she shares her thoughts on her parents’ tastiest collaboration. Why do you think the book remains so beloved? Part of the reason is the book itself; my mother was a designer, and she made sure it looked iconic. But my dad had an omnivorous appetite for life and food. In everything he did, from the schlockiest horror movie to Hollywood Squares, that spirit shone through. So we’re not alone if we read the book aloud in our best Vincent Price voice? It’s funny: People always say they can hear my dad when they read it. The fans are devoted. One couple told me that when they got married, they had the priest hold the cookbook instead of a Bible. Did your parents test the recipes themselves? Yes, my father developed a habit of cooking things over and over again until he got them right. It seems like for ten years of my childhood, all we ate was ratatouille. I can’t eat it to this day. What would have excited your dad about contemporary L.A. cuisine? Food trucks. He used to take me to taquito shacks, and they were all car washes. He was very aware that the most delicious food was not always found at five-star restaurants.